Rabblecast 508 - Tom Petty, The Las Vegas Shooting, and More! Tom Petty(aged 66), was an American singer-songwriter, multi-instrumentalist, record producer, and actor. Petty served as the lead singer of Tom Petty and the Heartbreakers. He was also a member and co-founder of the late 1980s super group the Traveling Wilburys, and his early band Mudcrutch.Whether or not you are a fan of Tom Petty's music, there is not denying the amazing career he leaves behind. On this episode we also touch upon the tragic events in Las Vegas. As mentioned in our intro, this episode was recorded just a couple of days after the event occurred. As such, we did not have all of the details as to what transpired. We try our best to talk about it without going into conspiracy theories, politicizing things, or standing on a soapbox. It's a horrible thing that happened. Our hearts go out to those affected by it and hopefully some answered are found in all of the chaos. Bernie Casey(aged 78), was an American actor, poet, and professional football player. For us here at the show we will always fondly remember Mr. Casey for his roles in Revenge of the Nerds(1984) as U.N. Jefferson and I'm Gonna Git You Sucka(1988) as John Slade. Jake LaMotta(aged 95), was an American professional boxer, former World Middleweight Champion, and stand-up comedian. Nicknamed "The Raging Bull", LaMotta was a rough fighter who was not a particularly big puncher, but he would subject his opponents to vicious beatings in the ring. With use of constant stalking, brawling and inside fighting, he developed the reputation for being a 'bully', he was what is often referred to today as a swarmer and a slugger. Horrible Events in History is back! Doug does his deep dive into the subject material and presents us with the Villisca Axe Murders. Rabblecast 506 - Bobby "The Brain" Heenan, Len Wein, and So Much More! On this episode we say, goodbye to a number of different artists and one individual that saved us all. Frank Vincent(aged 80), was an American actor.He played prominent roles in the HBO series The Sopranos and in several films for director Martin Scorsese: Raging Bull (1980), Goodfellas (1990), and Casino (1995). Len Wein(aged 69), was an American comic book writer and editor best known for co-creating DC Comics' Swamp Thing and Marvel Comics' Wolverine, and for helping revive the Marvel superhero team the X-Men (including the co-creation of Nightcrawler, Storm, and Colossus). Additionally, he was the editor for writer Alan Moore and illustrator Dave Gibbons' influential DC miniseries Watchmen. Harry Dean Stanton(aged 91), was an American actor, musician, and singer. In a career that spanned more than six decades, Stanton made notable appearances in the films Cool Hand Luke (1967), Kelly's Heroes (1970), Dillinger (1973), The Godfather Part II (1974), Alien (1979), Escape from New York (1981), Christine (1983), Repo Man (1984), Pretty in Pink (1986), The Last Temptation of Christ (1988), Wild at Heart (1990), The Green Mile (1999), Inland Empire (2006), and Lucky (2017), and had smaller roles in many others. Stanislav Petrov(aged 77), was a lieutenant colonel of the Soviet Air Defence Forces who became known as "the man who single-handedly saved the world from nuclear war" for his role in the 1983 Soviet nuclear false alarm incident. Bobby "The Brain" Heenan(aged 72), was an American professional wrestling manager, wrestler, and color commentator, best known for his time with the American Wrestling Association (AWA), the World Wrestling Federation (WWF, now WWE) and World Championship Wrestling (WCW). How is that for content? 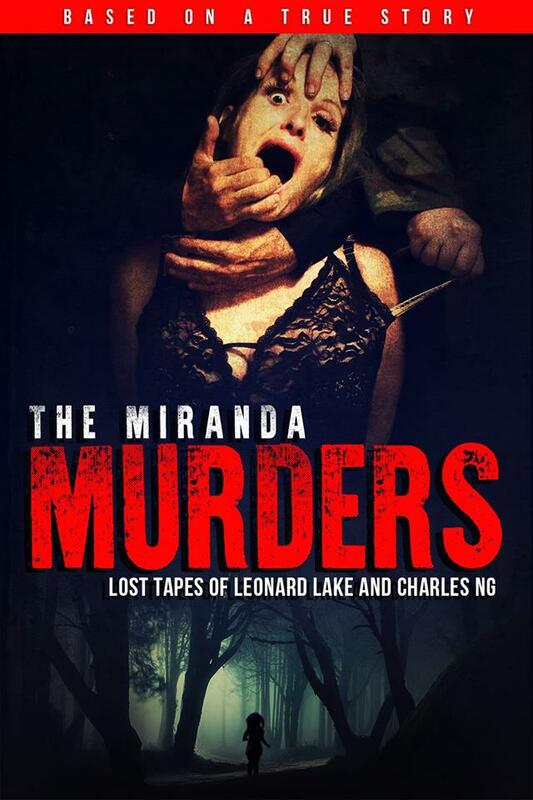 On this episode we talk with, Matt Rosvally the Director of the upcoming movie The Miranda Murders: Lost Tapes of Leonard Lake and Charles Ng. The movie itself will be available October 13 via Amazon Prime and Amazon Instant Video.